A mafite or basaltoid containing mostly calcic plagioclase, clinopyroxene +/- olivine, foids, oxides and rarely quartz. 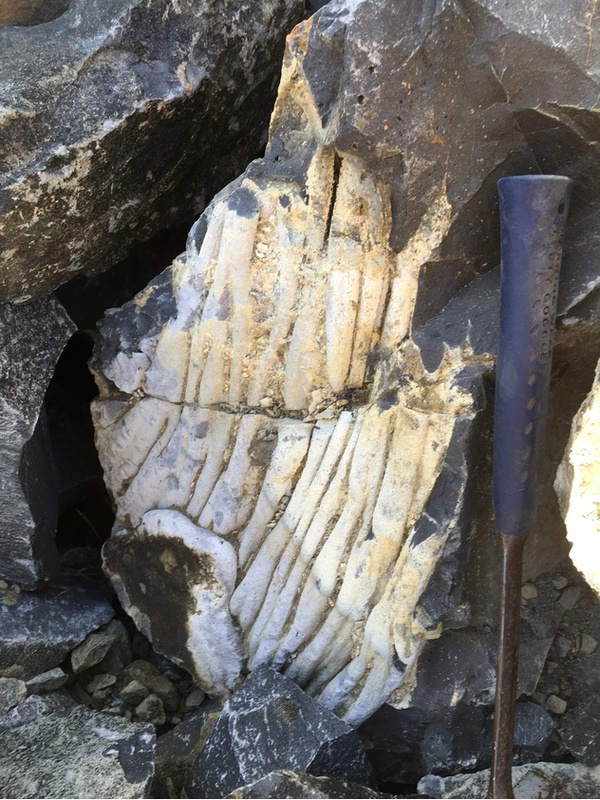 A general term for fine-grained, mafic (dark-colored) igneous rocks, commonly extrusive (volcanic) but locally intrusive (e.g., as dikes or pipes), composed chiefly of plagioclase and clinopyroxene; the fine-grained equivalent of gabbro. Olivine and iron-titanium oxides are very common and nepheline, orthopyroxene, or quartz may be present. Adj. 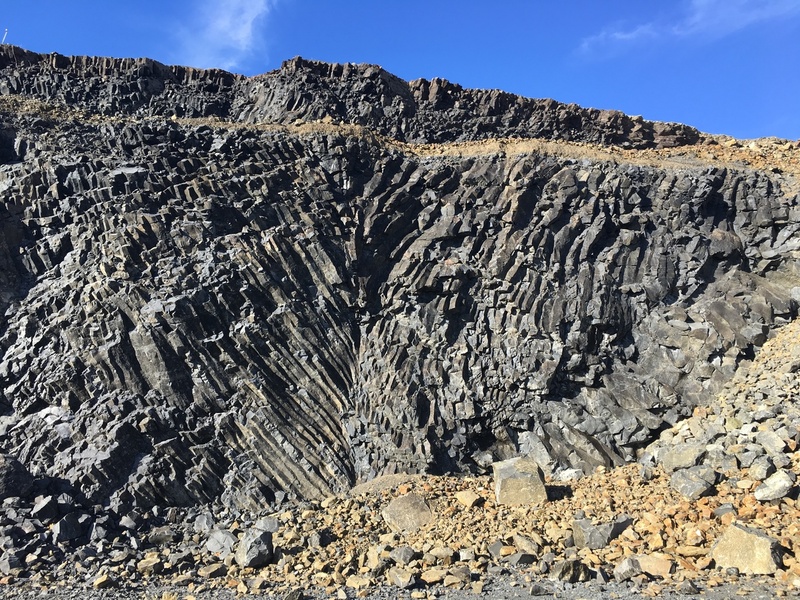 basaltic. 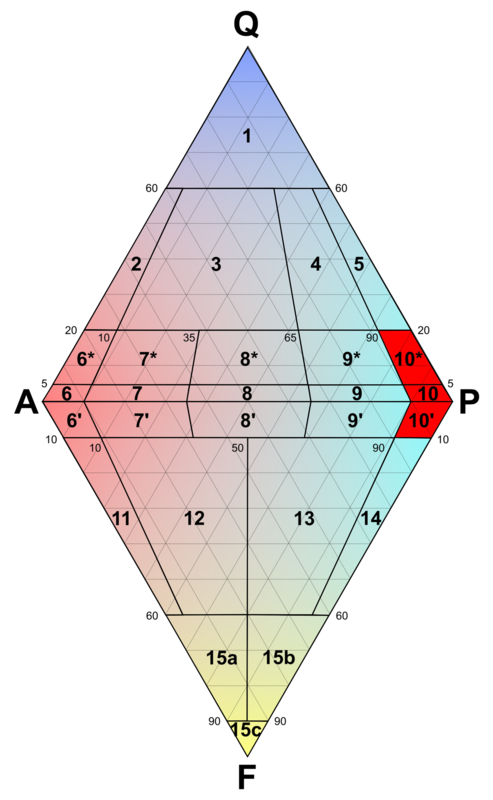 Basalt appears in fields 10,10* and 10’ in the QAPF diagram. 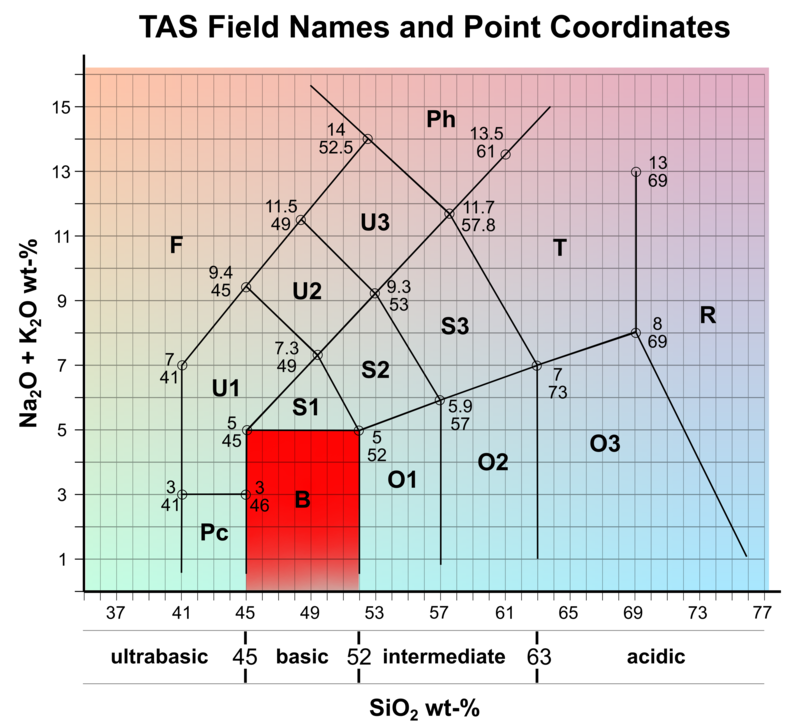 Basalt is found in field B in the TAS diagram. 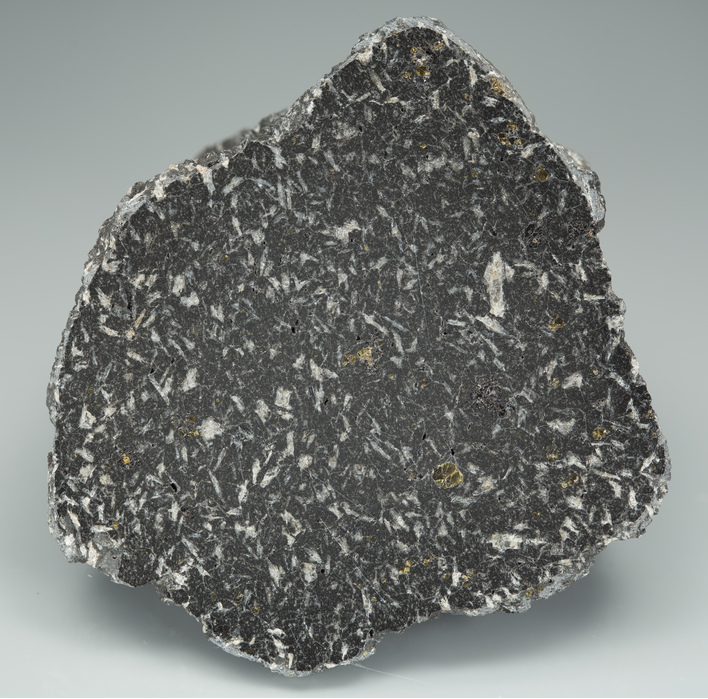 Calcic plagioclase A petrological term for plagioclase series feldspars dominant in calcium. Glassy basalt A glassy volcanic rock of basaltic composition.